Though the experience itself is often unparalleled, camping in the snow presents some unique challenges. In general, water (especially frozen water) is not a camper’s friend unless it’s in a bottle. And when the cold temperatures necessary for snow to persist are added in, it becomes clear that extra measures are necessary to guarantee a comfortable and fun camping trip. Fortunately, it’s really not all that difficult to stay warm and dry on your next snowy camping trip; here’s how. If you’re generally a summer camper, there are probably a few shelter-related things necessary to deal with snow that you wouldn’t think to bring. First, of course, is a tarp. During the warmer, dryer months, you usually don’t need to lay down insulation under your tent. But when there’s snow on the ground, you can bet it will be cold enough to freeze you through your sleeping bag at night. Lay down the tarp first, to keep any moisture from seeping into the bottom of your tent. Additionally, you’ll want to bring a personal insulation pad. Placed between the bottom of your sleeping bag and the tent’s floor, it serves to provide an extra layer between you and the frozen ground – a service you will certainly appreciate on below freezing nights. Much like you winterize a car or a house, your tent will perform much better in snowy camping situations if you take a few extra measures. 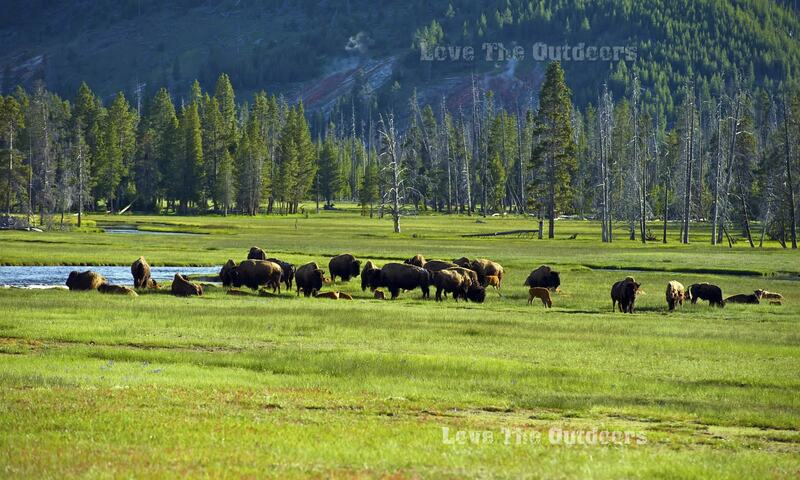 First and foremost, be sure to bring an extra tent pole or two along. 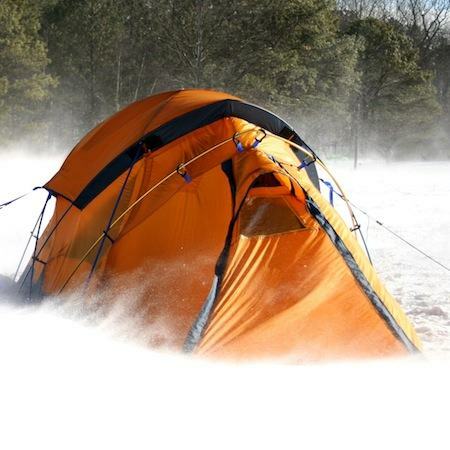 Though tent poles are designed to resist breaking, freezing temperatures can make them significantly more brittle. To maintain the dry, warm haven on the inside of your tent, bring a small broom (a windshield broom will do in a pinch) and use it often. Brush off the tent’s fly to prevent collapse if snow accumulates, and use it to brush yourself off every time you go inside. Otherwise, the powdery stuff will almost certainly find its way inside. As most experienced outdoor enthusiasts know, layering is the key to staying warm when camping in the snow. Long underwear, warm shirts, and waterproof outerwear generally do the job in temperatures hovering near the freezing mark. The principle of layering is pretty basic. When you get cold, add more layers. When you get warm – take one or two off to avoid sweating, as moist skin loses heat much more quickly than dry skin. Occasionally, veteran snow campers employ little tricks that help keep their body temperature up in the elements. The next time you go camping in the snow, set up camp on the south side of a hill, as you will get more sunlight exposure and therefore more warmth. When bed time rolls around, do a few jumping jacks or run in place before crawling into your sleeping bag. Your body will temporarily give off more trappable heat, keeping you nice and cozy. Finally, if you have to go to the bathroom in the middle of the night, don’t try to hold it in for fear of losing body heat. Keeping all that fluid in your body warm is using up much more energy. With considerations taken for shelter, clothing, and personal warmth, camping in the snow can be just as enjoyable as doing so in the warmer seasons. By following these guidelines – and making it clear to the kids that snowball fights aren’t allowed in the tent – your snowy camping trip will be an outdoor adventure to remember.